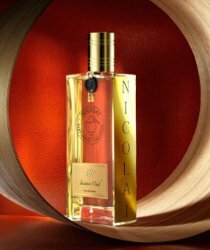 French niche line Parfums de Nicolaï will launch Incense Oud, a new oriental fragrance, in September. Oud Sublime follows 2013's Rose Oud and Amber Oud and 2016's Oud Sublime. The notes feature artemisia, davana, ambrette, oud, coriander, cypriol, cedar, rose, patchouli, casteoreum, amber, styrax, musk and incense. Parfums de Nicolaï Incense Oud will be available in 30 and 100 ml Eau de Parfum, or in a 15 ml travel spray with 125 ml refill.